Chad bent over backwards to customize a quick solution for our Health Department. 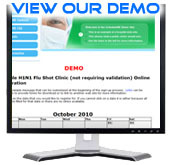 He expertly implemented an online reservation system in the heat of our H1N1 clinic efforts and has been very flexible with all of our customization needs. His company came highly recommended from another Health Department that was already using his services. We look forward to using the system in many other ways with his help in the future. I am happy to provide a recommendation for Chad to another health department! The online reservation system has been invaluable to us!" ScheduleME is an easy to use online public scheduling system that provides 24 hours a day, 7 days a week, 365 days a year access to providers' appointment calendars. ScheduleME is product of BDH Technology. 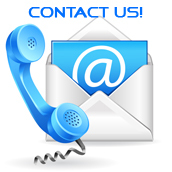 For more information on BDH Technology please see their web site at www.bdhtechnology.com.